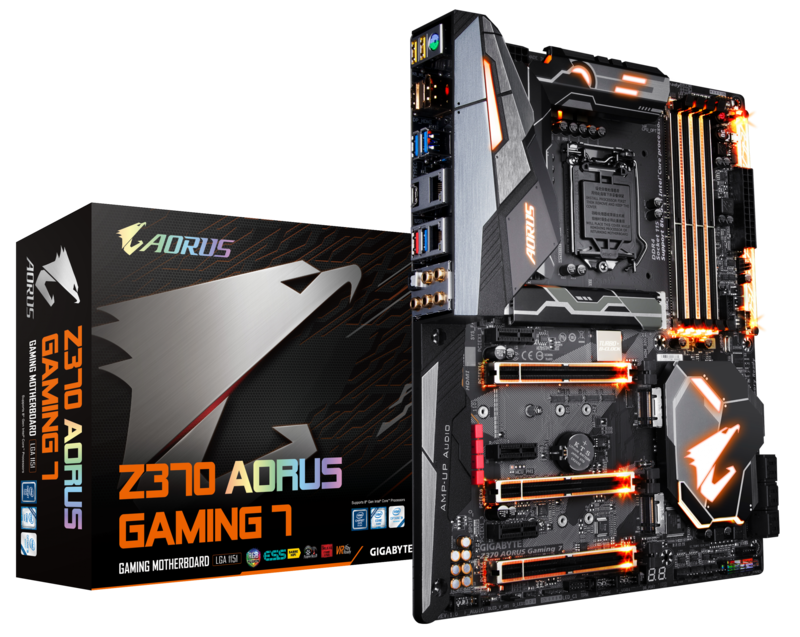 GIGABYTE TECHNOLOGY Co. Ltd, a leading manufacturer of motherboards and graphics cards, has unveiled the new GIGABYTE Z370 AORUS motherboards based on the Intel® Z370 chipset. These supercharged motherboards are equipped with a server-grade digital power design which fully support 8th generation Intel Core™ processors. Performance tuned, the Z370 AORUS Motherboards are compatible with memory modules rated for 4133MHz. With unique features like an ESS Sabre DAC, Smart Fan 5 and RGB Fusion, there’s no doubt why gamers turn to AORUS for the ultimate gaming motherboard. 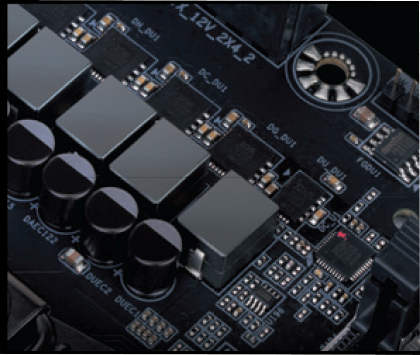 The Z370 AORUS Motherboards utilize a new VRM and PWM design which is able to drive 60 amps per power phase as well as strengthen the signal between the processor and voltage regulator. 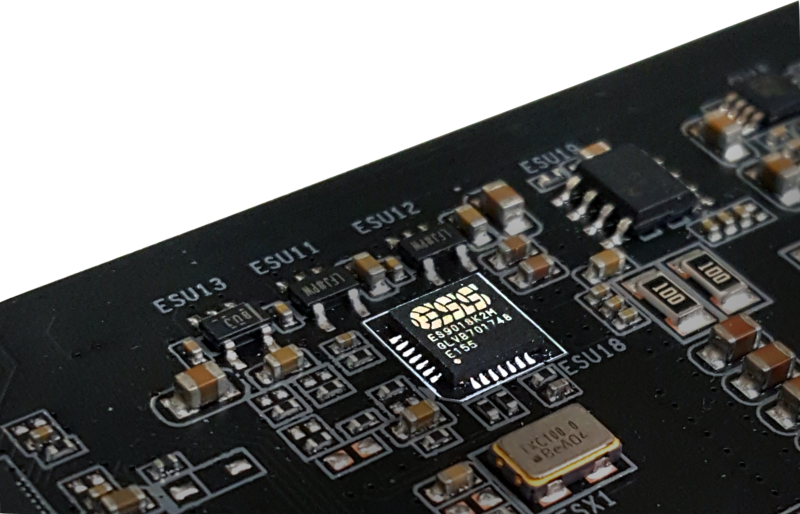 Through the use of server-grade 10K Ultra Durable Black™ capacitors GIGABYTE is able to increase durability while reducing excess electrostatic charge on the PWMs, improving efficiency between the CPU. 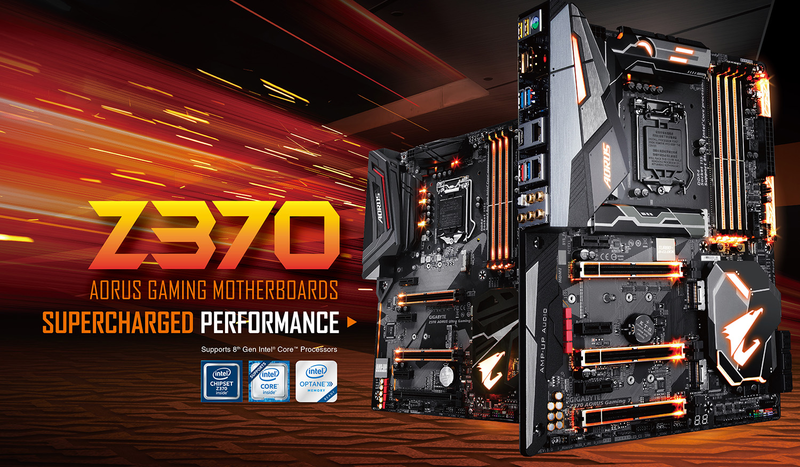 With its intricate power design the Z370 AORUS Motherboards are still able to meet the standards of the California Energy Commision (CEC) as a low power and high efficiency motherboard.